Played along in the Splitcoaststampers Sketch Challenge today. The sketch is flipped 90 degrees. Used this wonderful sketch to get started on some Christmas cards. December will be here before you know it, and my supply of Christmas cards is almost nonexistent. I’m in the CLASSroom today, too! Hope you will come on over and see what I’ve been up to with some beloved Inchies. I just love those cute little things! Also Ellen Hutson is having a wonderful sale on some fabulous products over in her store. 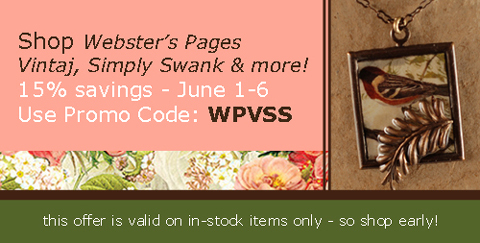 Be sure to check it out and use the Promo Code WPVSS for a 15% savings!! All supplies used on the Sketch Card are from Stampin’ Up!. I love the babushka card, Susan, the colours are delightful and the images so pretty. beautiful card- love the sketch! I wish I was working on Christmas too. Yay! Another crazy person like me who has started her Christmas cards already! Love it! Gorgeous, Susan! Love the pretty poinsettia stamping! This is absolutely gorgeous. Thanks for the inspiration. Stunning mix of texture and stamping. Darling card, Susan 😀 Love the Christmas theme, EF you used and colours. Wonderfully done. Susan, I love your Christmas card, and your Classroom card is adorable. I’ll have to give that a try. That doll stamp is too cute! TFS! Great tutorial in the classroom, Susan! Love your sample and your Sketch challenge sample as well. Love that you turned the sketch. Love this Christmas card! The colors and embossing are just fantastic! Wonderful take on the sketch – reminds me, I wanted to make more Christmas cards…. Christmas cards…yikes!!!! It will be here before ya know it and I don’t have many either…I better get on the stick!!! Since it is supposed to be in the 100’s here this weekend, making Christmas cards may cool me off…LOL!!! 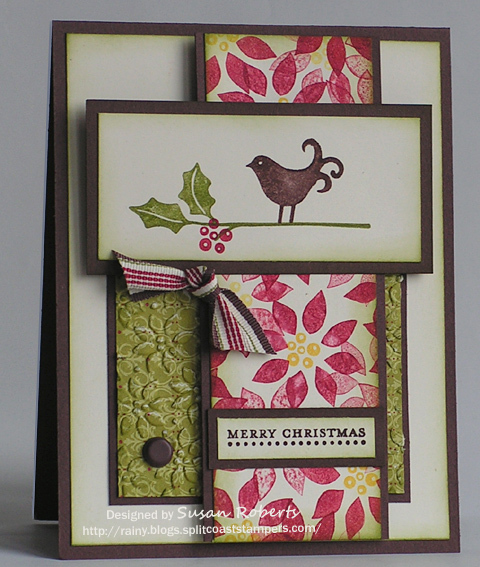 Your card is gorgeous, Susan….I love the stamps you used and the colors are one of my favorite Christmas combos!!! I got nothin! So many people doing Christmas cards and all I can say is I got nothin! I really do need to get cracking…..Christmas will be here soon! Love your card. On my way to check out the Classroom! Wow! Both of the cards are gorgeous! Especially love the one with Russian wooden doll! Really like the idea with inches and Nestabilities! And look at the cute little bird on the first card! Love how the design of the stamp of the Poinsettias matches to the embossing! Love how your stamping on the first one goes so perfectly with the textured square, so pretty. Your second card is too cute! Love both of these Susan. WOW Christmas already…are we really going there?!?!?! lol I am so not ready to start thinking holidays! I love your card though!!! I so love your Christmas jump-start! The red poinsettias made me smile all over …. and I’m so impressed at your early start on the cards! Way to go!